Hello everyone! 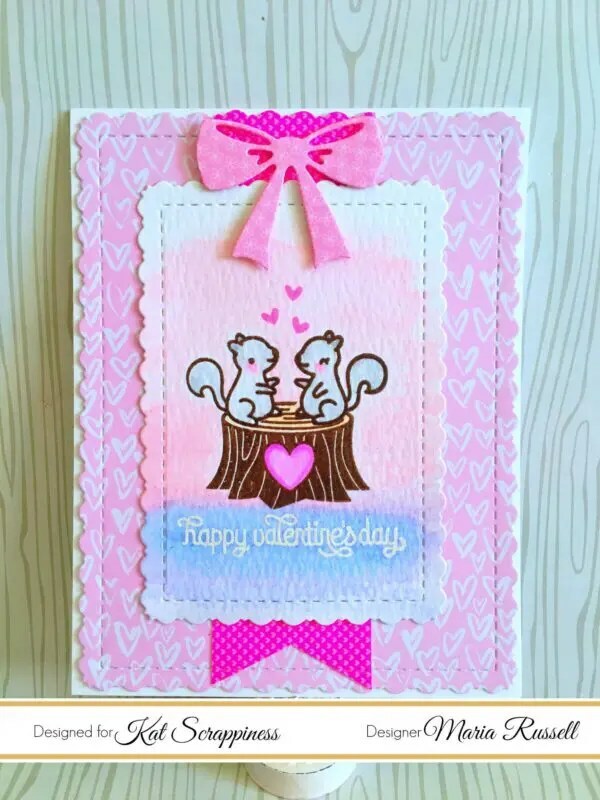 I’m back today to share with you a cute Valentine’s Card, showcasing products available at Kat Scrappiness, i.e. 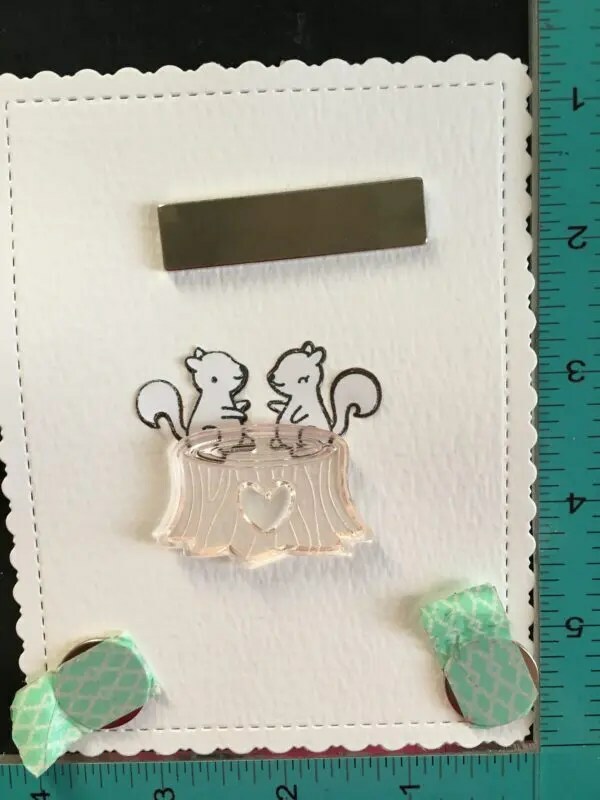 stamp sets by Lawn Fawn – Love Letters, Cheery Christmas and Mom & Me stamp sets, Stitched Fancy Scalloped Rectangle Dies, Inkadinkado masking paper and Gina Marie Designs ribbon bow dies. I apologize that I don’t have a process video today as I am currently traveling for a few days. 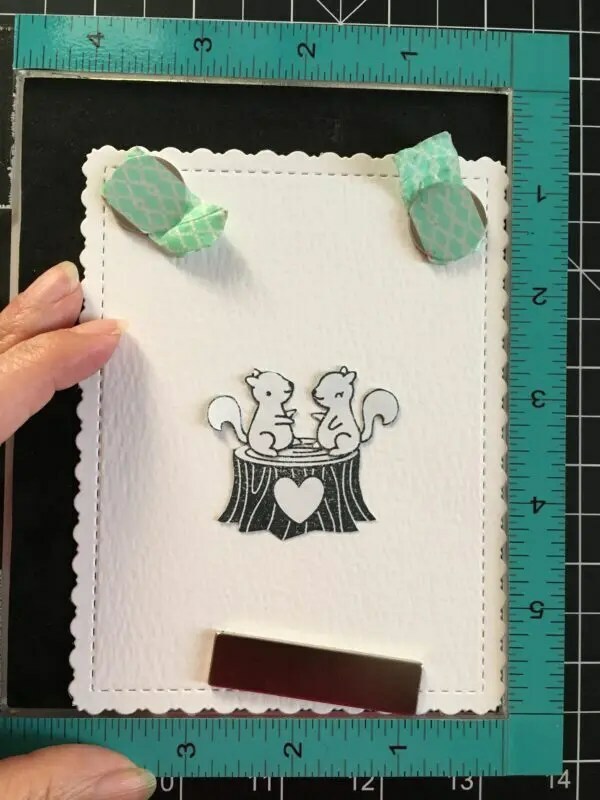 I wanted to create a very simple card with some masking technique. 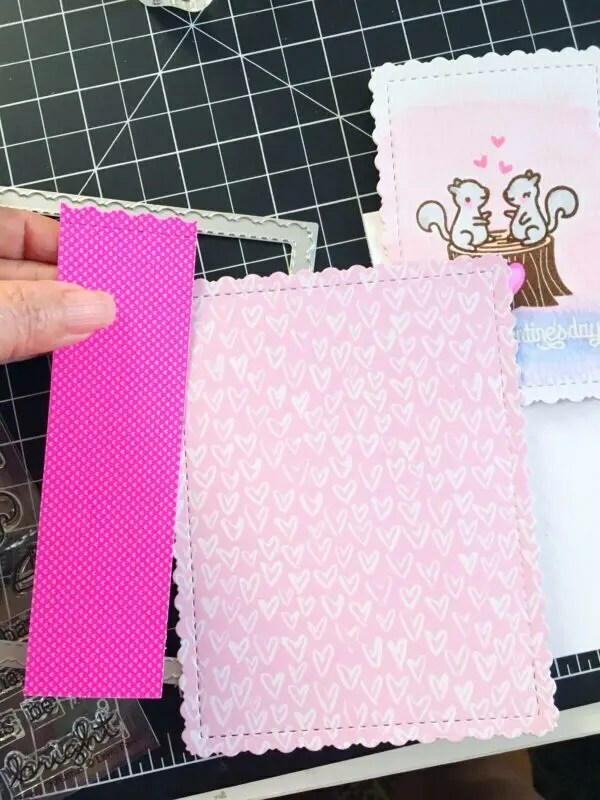 I started out by die-cutting my watercolor card stock using the stitched fancy scalloped die. 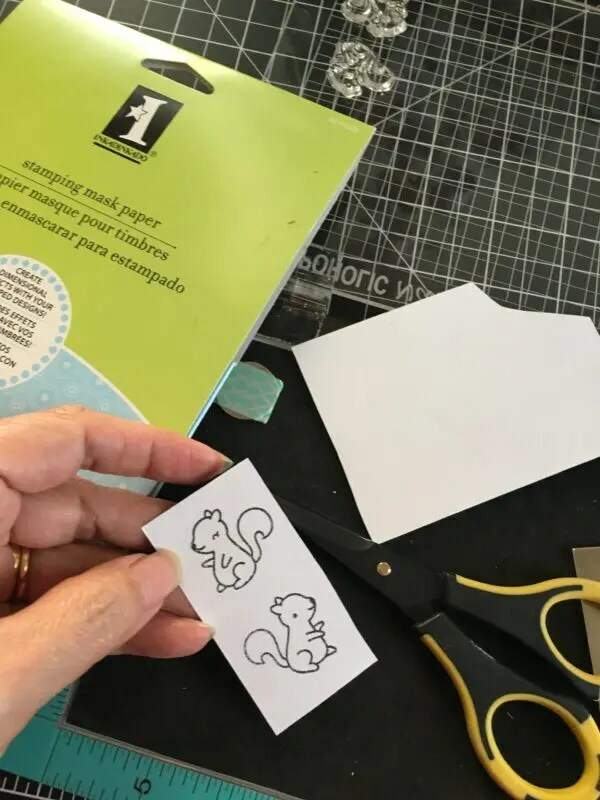 I stamped my two squirrels on Inkadinkado masking paper and fuzzy cut them with my precision scissors. 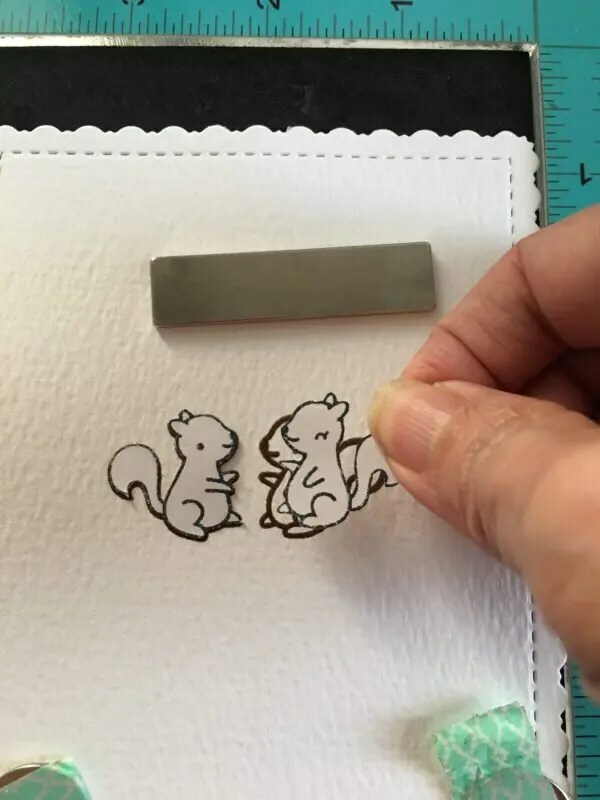 Using my stamping tool, I laid out my scene and stamped my squirrels twice with Versafine vintage sepia pigment ink. 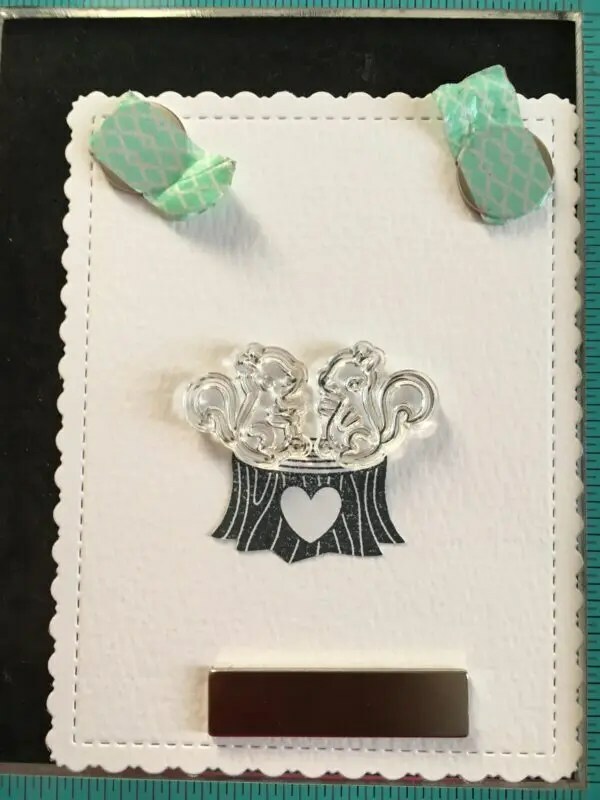 I heat-set it with some clear embossing powder. 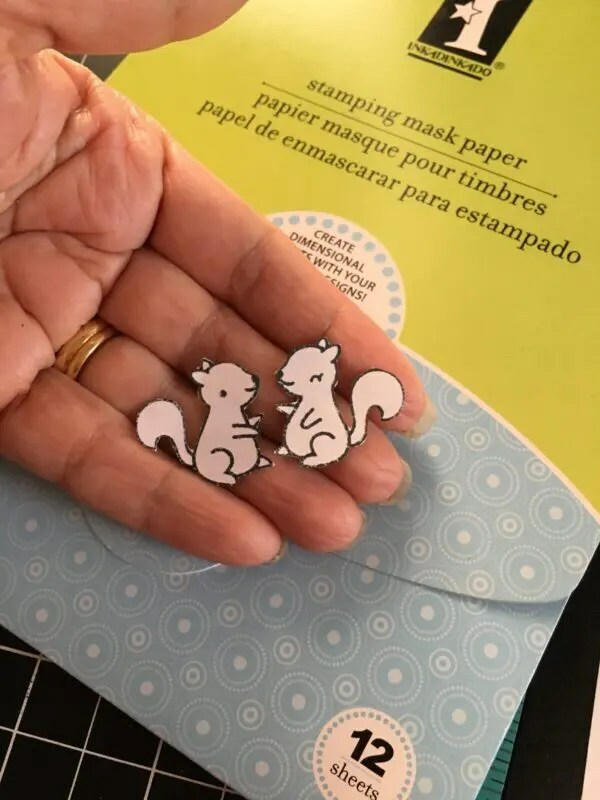 Using the mask I created, I covered the squirrels so I can stamp the wood stump on top of the squirrel. Removing the mask, I also set the tree stump with clear embossing powder. I colored the images using my Zig clean color real brush markers. I used my heating tool to dry them out a little, and covered the images with my mask. I smudged some spun sugar and shaded lilac distress inks on a clear acrylic block, sprayed it with water, and used my flat watercolor brush to carefully start brushing the color onto the paper. [Since the images are already covered with my masking paper, I was not afraid to do this technique.] I removed the mask and set it aside to dry. 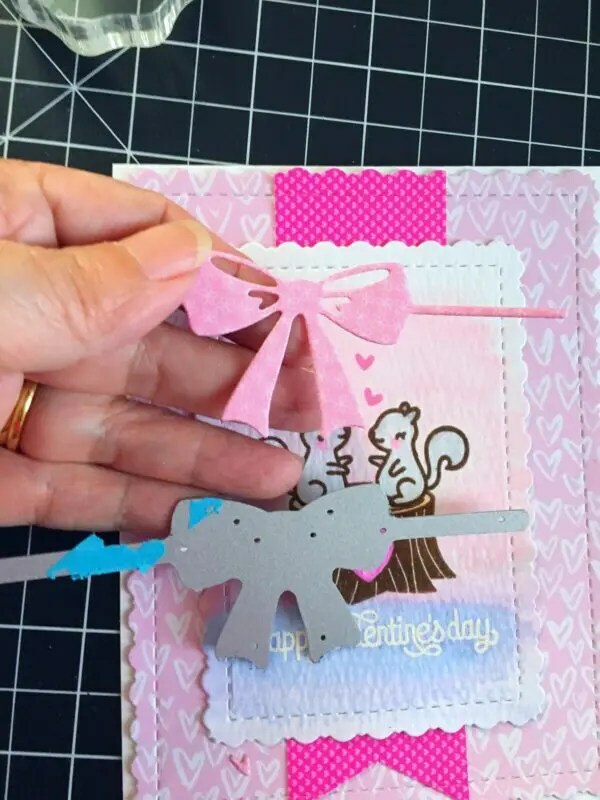 I finished off the design by using a patterned paper by Crate Paper design, and die-cut a bow using a ribbon bow die by Gina Marie Designs. I hope you got inspired today. The supplies I have used are listed and linked below. Thanks for stopping by and have an amazing day!